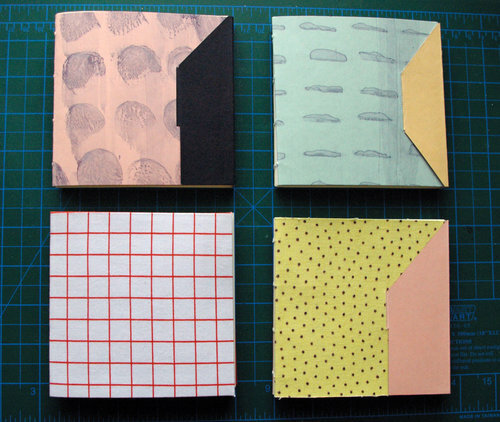 Students with interest and/or experience in bookbinding, printmaking and paper arts are invited to attend this one day workshop introducing simple decorative paper techniques that can be done in the studio or at home. We will start by making paste-paper and learning about its usage in bookmaking. Then, we’ll grab our linoleum-cutting tools and design and print patterned paper that can be used creatively in bookbinding and beyond. Perhaps you’ll be inspired to combine techniques if time permits!